Jamaica's Usain Bolt ran the second-fastest 100 meters in track and field history and smashed the Olympic record with his 9.63-second victory. But that's only because he jogged the last 20 meters of his 9.69 gold at Beijing in 2008. 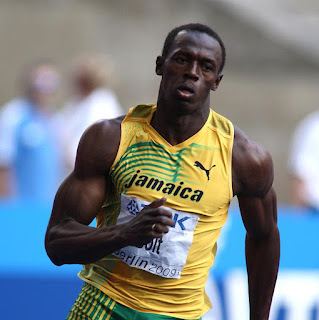 Anyone who saw the Jamaica flash take his first Olympic gold at the 2008 Games knows it was only an 85-percent effort. Teammate Yohan Blake(9.75-second)-silver medal, American 2004 Olympic gold medallist Justin Gatlin(9.79-second)-bronze medal.